Eastwood Harris Pty Ltd is an internationally recognised provider of project planning, scheduling and control training and training material focused on the requirements of organisations and their employees. Eastwood Harris Pty Ltd training has two discrete aims; one is the continual development of high quality up to date training material that may be used by individuals or companies to implement and train their employees on the use of project planning and scheduling software and the second is the delivery of high quality project planning, scheduling and control training showing participants how to project management process and software in a project environment. 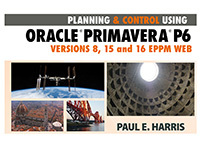 • Programme managers and project control staff that may be in the process of evaluating the Primavera software against your organizational requirements. 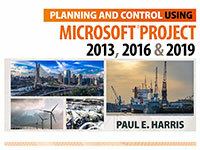 • Project schedulers who wish to learn how to use the software to schedule and control projects. • Upgrading to P6 from an earlier version. 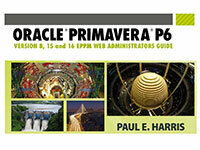 • Database managers who wish to understand how to set up and administer a database. • Experienced project personal who wish to learn how to schedule and control a project. • Navigate the user interface. • Plan projects without resources, filters layouts, printing, baselines. • Update an un-resourced project. • Create and assign roles and resources. 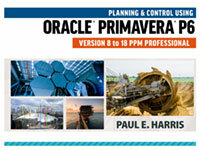 • Control projects with resources and costs. • Set up and administer a database, including the use of advanced features such as import/export, activity codes, custom data fields and global change. The course is a PMI Registered course and you will be entitled to 21 Professional Development Units (PDUs). PMI PDUs are recognised by many other professional organisations for the maintenance of professional qualifications. Until we complete our booking for please send an email to info@primaskills.com.au with course date and location and request a booking. Dates marked with an * have had the dates changed since the initial publication. Three day courses and/or workshops. Two day courses and/or workshops. A one day course that teaches students how to plan a project. This course is ideal to teach students about planning before completing a software course. This course is aimed at project management professionals who wish to learn how set up and run an Earned Value Performance Measurement system. This course is very different to many other courses because it covers topics outside standards such as techniques needed to collect the EV data from existing corporate systems and alternative EV measurement parameters. Eastwood Harris also offers One to One Personal Training which is a cost effective method of getting you staff up and going quickly. The Microsoft Project course is condensed into one day and the P6 course is compressed into two days and the training course costs may be less than sending the person on an open course. PMBOK is a registration mark of the Project Management Institute, Inc.